Question: How many pickleball courts fit on a tennis court? 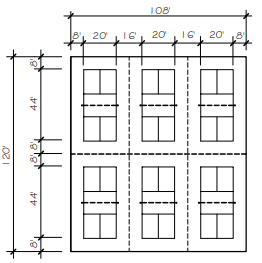 Answer: You can fit four standard pickleball courts on a tennis court, as long a the corners are square and it is regulation size (60′ x 120′). 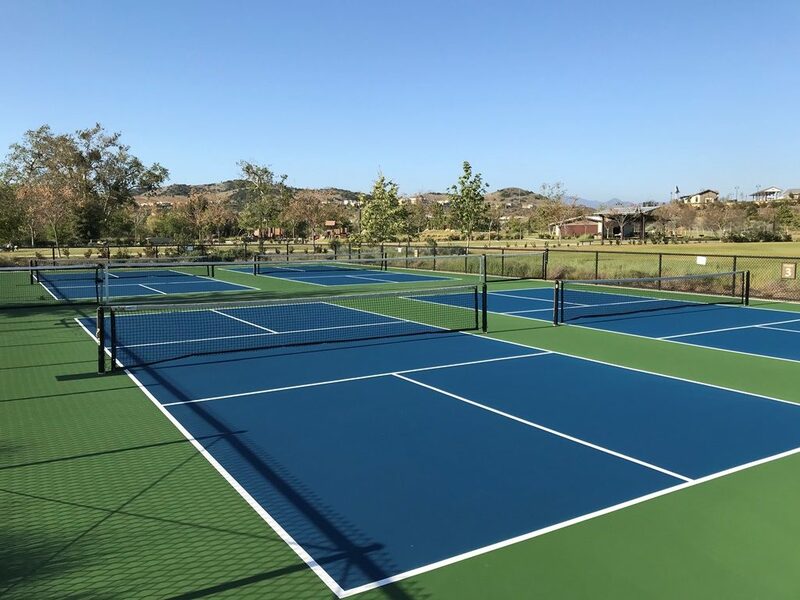 Each pickleball court should consist of the playing area of 20′ x 44′, and the total recommended size of each court with overrruns is 30′ x 60′. If you picture a standard size tennis court and cut it in half at the net line, each half of the full tennis court can have two pickleball courts on each end. Removal of the existing tennis posts, which are usually in a concrete footer / sleeve & removal of the pipe anchor. The pipe anchor is cemented into the base, directly under the tennis net at center to hold the net center strap. Since the net posts are in the center of the old tennis court and between the two sets of new pickleball courts, you may be able to cap the holes if sleeves were installed in the concrete post footers. This would minimize the need for removal and surface repair. Installing new pickleball net post sleeves in footers for all 4 courts. The pickleball posts can be placed and removed as needed, with the sleeves installed. Resurface the tennis court as four independent pickleball courts, utilizing SportMaster pickleball court surfaces & stripe accordingly. If you still want to play tennis on your court, you should consider adding pickleball lines to a tennis court. This is also known as “blended lines”. The tennis court lines will remain and pickleball court lines can be added in a different color. Generally, the tennis net will remain and you can use portable net systems for pickleball. There are a few common variations of blended pickleball lines, but most of them consist of adding 2 pickleball courts, per full tennis court. 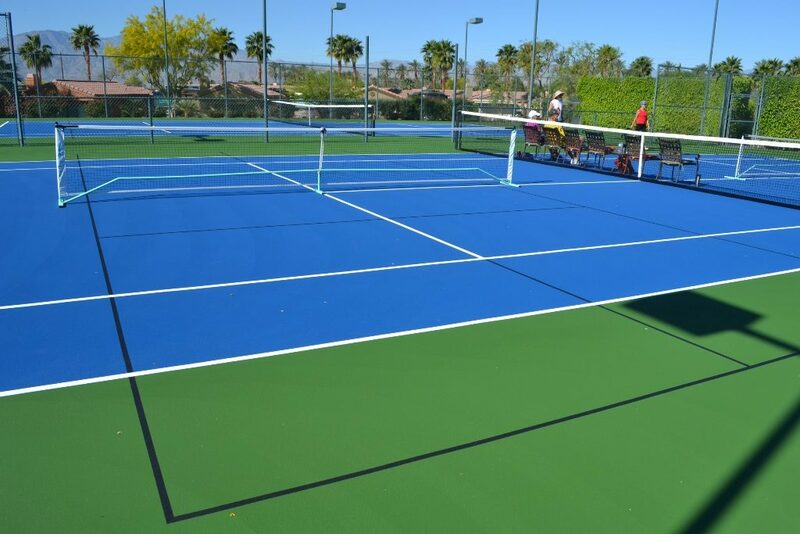 You can use the pickleball court surface coatings as your blended line paint. Usually, a line paint color in the same family of the surface coatings will work well. Just lighten or darken it by adding white line paint or black Acrylic Resurfacer. For simplicity, black Acrylic Resurfacer can also be used to produce black blended lines for pickleball. If you are interested in doing this at your facility, please contact us and we can assist with specifications and provide you with qualified sport contractor referrals near you.